For the generic Wexford hurling supporter, 2017 has to be considered a successful year. With Davy Fitzgerald taking the reigns as the new manager, an electric buzz was re-surged around the county. Beating Galway in Salthill and overcoming Limerick meant that promotion to Division 1A was almost a certainty. Two victories against Brian Cody’s Kilkenny followed, but for the Yellowbellies, their near-neighbours and a star-studded Waterford team stood in the way as they knocked them out of the All-Ireland Championship. With Wexford now competing within hurling’s top tier for the first time since 2011, it comes as no surprise to see that Fitzgerald will continue to line out an almost full-strength squad in the Allianz National Hurling League. 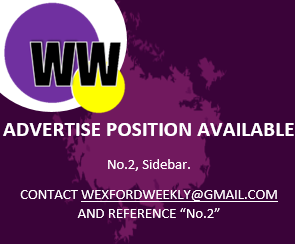 The 2018 League campaign serves additional importance to Wexford hurling. After years of hard-work, relegation back to Division 1B is certainly out of the question. For Wexford hurling to continue to progress into future, they need to be playing the top teams in competitive hurling matches in the League. Every game holds importance for the rest of this season for the Yellowbellies, but supporters will be hoping that Fitzgerald’s team can continue their winning ways after their recent Walsh Cup final victory against Kilkenny.